In a world where just about every company seems desperate to be global, it is refreshing to still find great local brands that are proud of who they are and where they come from. An avid reader of our blog from down south, has put me on to Betta Milk, a Tasmanian brand that has stirred up Tassie pride to fight off competition and entertain The Apple Isle. 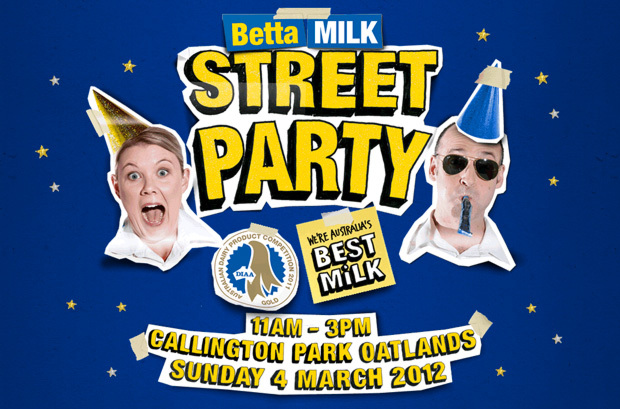 Although I’d never heard of it, and I guess most Mainlanders haven’t either, in Tasmania, Betta Milk is iconic. The brand is much loved, seems to really engage the locals and convinces them to pay a premium for their milk. With supermarkets reducing the price of their generic milk to $1 Litre, Betta were struggling to convince people to pay more than double the price and suffering a 10% sales decline. 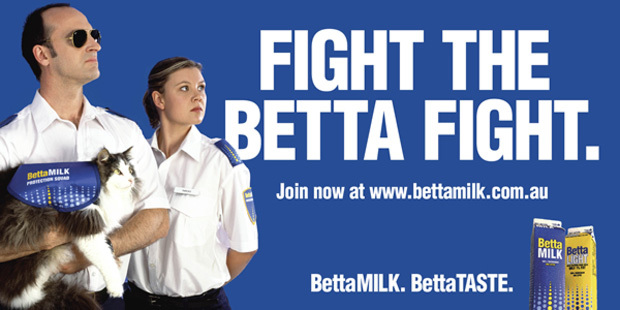 Betta Milk responded by stirring up Tassie patriotism and launched the ‘Tassie As’ fight back campaign. The brainchild of Clemenger Tasmania, Betta’s brand ambassadors, Frank and Nikki, set about the island stirring up a sense of pride in Tassie milk and discouraging the purchase of ‘inferior’ mainland milk. The ‘Tassie As’ campaign used Frank and Nikki to get closer to Betta’s loyal customer base. The human faces of the brand helped Betta build true consumer interaction that moved from advertising seamlessly into social media and even a Tasmanian Tour and street parties – all celebrating Tassie Milk. Quite impressive for what is a staple purchase. Being truly local is something you just can’t fake or force. You need to talk and behave like a local and it appears that Betta Milk have managed to capture that an authentic Tassie spirit. I am told that just about everyone is Tasmanian knows Frank and Nikki. With 5,000 Facebook friends that might be just about the whole island! The strategy seems solid and has clearly been successful. In terms of execution, to an outsider, I feel it is very corny and I found myself cringing a lot – but I guess I am not the audience.